This might be the longest post in the world. You have been warned. I’ve literally have wanted to do this race for years. 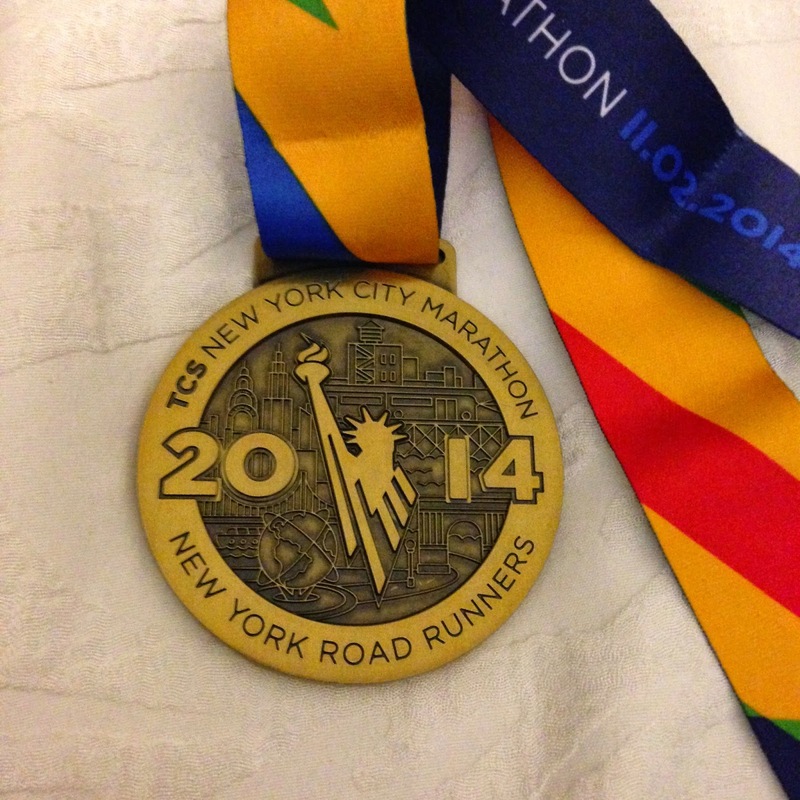 I tried the lottery 2 or 3x and failed and finally did NYRR’s 9+1 last year for guaranteed entry for this year. Even though I’ve known I was going to do this race for the past year, I failed with training – the virus that took me out in July, law school, the tendonitis that came back in full force which took me out in the Philly Half + NYRR 18 miler (which never happened), plus oh did I mention law school with a full-time job? So you can imagine that training didn’t go quite as planned. My longest run since last year’s Philly Marathon was 13 miles which I had done a few times this training season. Pair that with the fact that somehow my midterms showed up late in the semester – the marathon was right smack in between two of my midterms, something that I also didn’t plan for. Last week, I had an irrational fear (I blame my anxiety over the midterms and my lack of training) that I had a stress fracture (spoiler alert: I’m 99% sure I don’t have one because I finished and my shins don’t hurt anymore – even 3 days later). Nothing was painful but my left shin felt tender, it didn’t alter the way I walked or ran but I jumped to conclusions. It was probably a mild case of shin splits. I literally was freaking out all week – over the marathon, over my midterms (I survived all of these things – I was just a hot mess for no reason). I considered deferring but then realized I would lose a lot of money and will soon have guaranteed entry for next year so there was no point. Plus I then rationalized that lots of people sign up for halfs and marathons and just end up walking them (my research led me to this article, in which NYC Marathon was one of the best for walkers). If I had to, I would walk but I knew there was no way I should really push myself. I didn’t want to injure myself like last year’s Philly Marathon or this year’s Philly Half (there might be a theme of injuries in Philly…hmmm). Three goals: run as much as possible, finish and to finish without injuring myself. I picked up my bib in between work and school on Thursday afternoon. It was oddly packed. I never do any expo shopping but I picked up some stuff from SparklySoul and Nuun. Even met up with my sister so I gave her birthday present early. Got myself a matching one too – I just really love the color. I tried to get myself out of Dash to Finish 5k volunteer gig but there were no more volunteer opportunities left in 2014 so I needed to go so I could get my volunteer cred for next year’s race. It was pouring rain but hanging out at the finish was actually kinda fun. 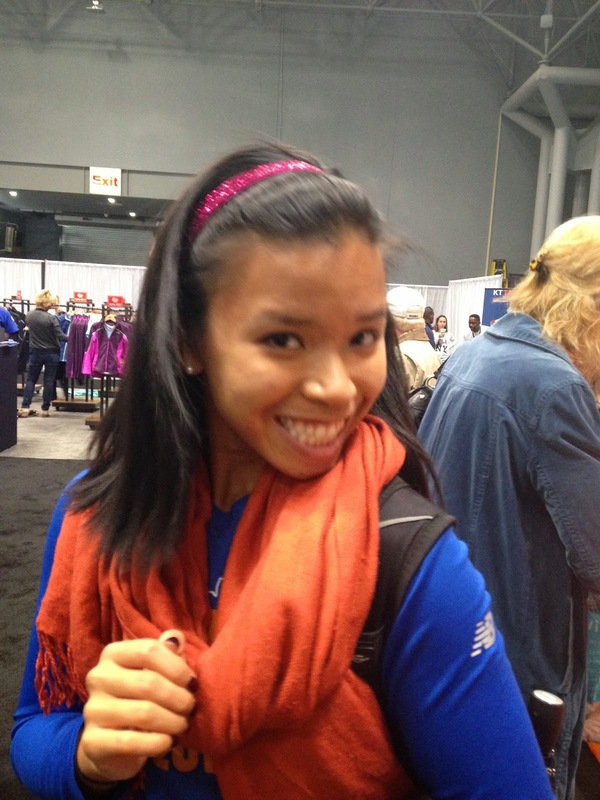 I chatted up some volunteers and we talked about the race and it made me feel a little bit better about the marathon. My sister came over later that night and we ordered some carbs – pasta with fried shrimp, zeppoles, and garlic bread. There was so much food but I wasn’t even that hungry. Also at this point I was so sick of carbs. The sis and I were scheduled for the 8:30am ferry from Staten Island with a 10:55am start. I set my alarm for 7:10am and ended up waking up an hour earlier. I laid in bed until I had to get up then got up. We ended up leaving my apartment at 7:30 and getting to the ferry at 8am so we had time to use real bathrooms and get some heat. We got on the 8:30am ferry and docked around 9am and hungout in the warm terminal until 9:30, got on a bus which felt like it took forever and got to the start village around 10:10am. Security was tight – it was just like airport security. The sister and I didn’t do baggage so we just hungout but time went by fast. The start village was so large, it basically felt like we immediately got off the bus and got into corrals. We did get to see wave 3 start which was cool. I already planned not to take pics because nothing would capture the awesomeness of this marathon. The sister and I started together – both in the orange corral (top of the bridge). The bridge, like much of this race, was insanely windy. We lost each other after the Verrazano but we took some good pics together. 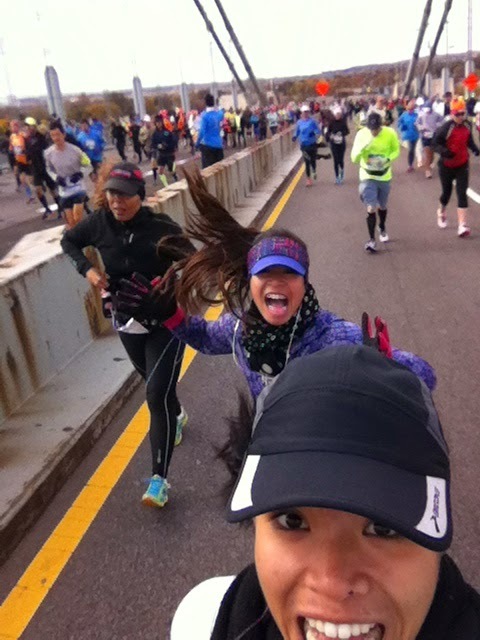 LET’S RUN A MARATHON but first…A SELFIE! After the bridge, it seemed less crazy. The crowds of Bay Ridge were out cheering but because there are 4 waves of 3 colors – blue and orange (on the top of the bridge) with green (bottom of the bridge), the three colors had separate courses after the bridge and met up around the 5k (3.1 mile) mark, which then seemed to get crazy loud. At this point I felt good, took it nice and slow but kept feeling this weird pulsing from my left shin and left foot. It’s hard to explain but it never felt painful. I think this was my favorite part of the course – because I live here! 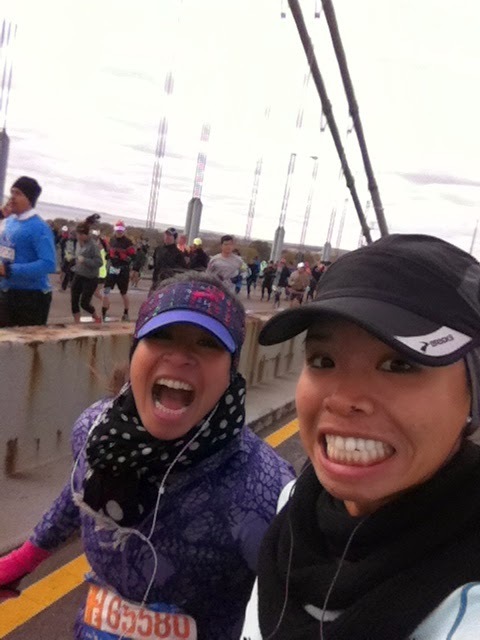 Between mile 7 and 8, my boyfriend caught up to me – he ran right up next to me in his jeans. Apparently I didn’t hear him calling my name. Because the roads get smaller in the Clinton Hill part (miles 8-10), the crowds seem to close in so it just seems really surreal to have all these people cheering for you. I started to get tired around mile 10. At this point I stopped to stretch every mile since my tight calves were acting up. 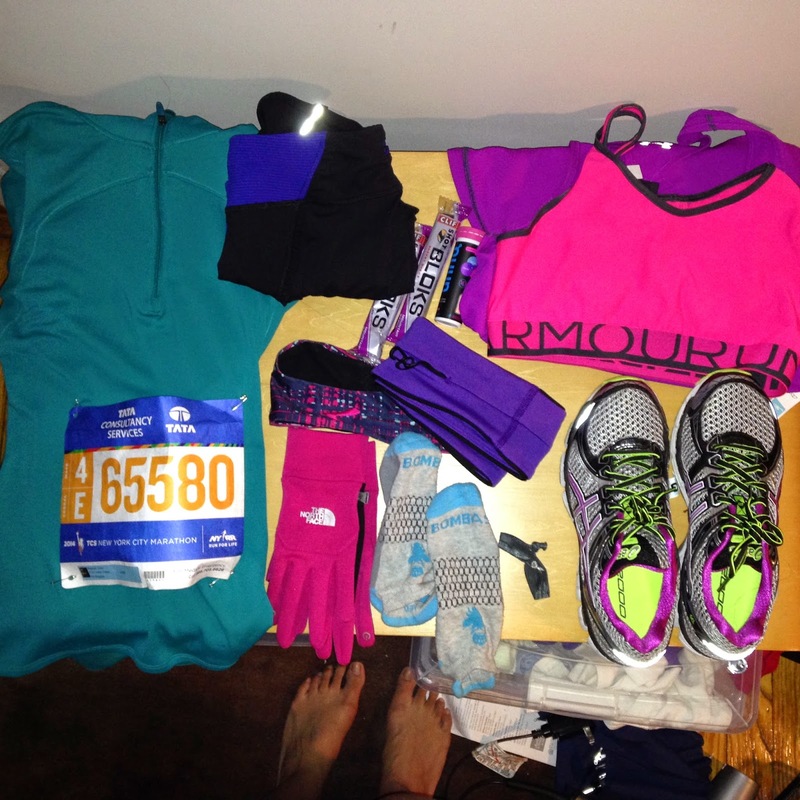 I hit mile 13 and was like wow, now I can’t go back….I’ve got to finish. My fear of not making it kinda went to the side at this point. 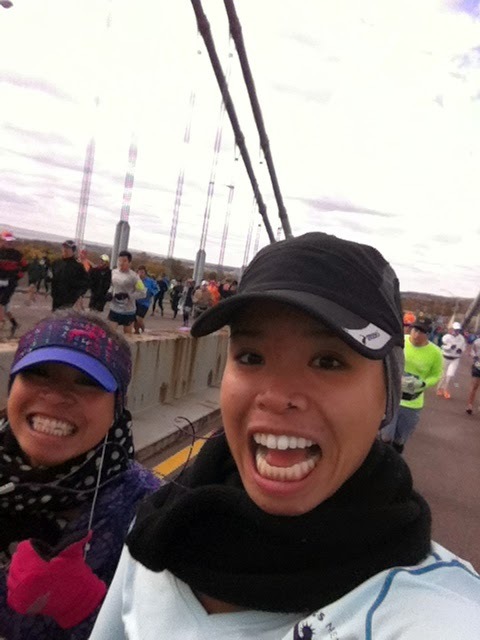 Mile 13 and 13.1 were on the Pulaski bridge which is a “mini-bridge” but more elevation nonetheless. OH HEY ANOTHER BRIDGE. This part from the Pulaski Bridge through Queens and up the Queensboro Bridge was painful. The wind came out of nowhere in Queens. The Queensboro’s elevation didn’t seem to stop and it was just long yet since we were on the bottom half of the bridge, it shielded the wind a bit. The views from both bridges were great though – Pulaski had a great view of the Manhattan skyline and so did Queensboro. It seems that everyone loves this part of the course and it was cool but I kept thinking about the impending doom that was the Bronx (the part of the course where the crowds thin out and it gets quiet like Queensboro but there isn’t great scenery). So I tried to enjoy this part but the WIND. At one point I just stopped and somehow got moved a foot over. It was just insane at this part. ALL THE BRIDGES! Small but they were still bridges in my book. Slowest miles ever. Plus I was counting wrong – thinking oh it’s just 4 more miles when it was really 5 more. I clearly didn’t study the end of the course map correctly. I kept thinking we’d enter the park at the top of the park around 110th Street, instead we entered around 86th street. I thought the rest of the course was IN the park but didn’t realize the last mile takes you out of the park again to Columbus Circle then back into the park for the finish. I was looking at my clock and I took my sweet sweet time, so much so that the sun was starting to set. This was a weird experience for me. I’ve never finished a race right before sunset. When I finished there was still light out by the time I got my awesome cape, it was dark out. I got my medal after a short walk, then got a heating blanket then got some food (which was a bit of a downgrade considering past runners said you got an awesome keepsake bag with a ton of food – there was water, gatorade, an apple, pretzels, a protein bar and some protein shake in a plastic bag which you wouldn’t use again, maybe I misunderstood). The walk to the cape took forever. I couldn’t believe how long it was. 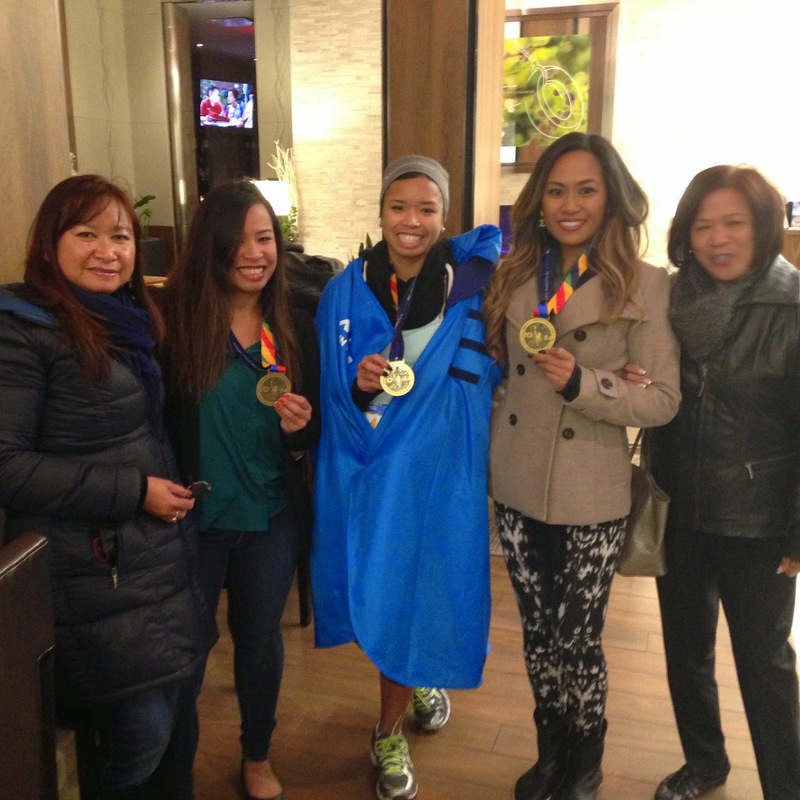 At dinner, my boyfriend and I met up with my parents, my sister and my cousin (who both ran) and her mom and friend. The sister took PR’ed and took 30 minutes off her first marathon time! My cousin, Candice, from Canada, who I met for the first time (because my family is that big), also killed it and finished at 4 hours. On the walk to the subway post race, I was thinking – whoa I did it. I didn’t hit a wall. I didn’t get injured. I didn’t cry. I could still reasonably walk. No stomach problems. I ran most of the course. All things that did happen during my first marathon (despite that my 1st marathon time is much faster than this one…go figure). There is something to be said about just doing a race for fun or for the experience. I don’t think I’ve ever done that before. I usually push myself pretty hard – it was nice just to take it all in for once. Logistically, even though it seems like a sh*tshow, its definitely a must do race. It’s really an international race which is really evident from the expo, the Dash to the Finish 5K, to the race. You just see people repping their countries hard – flags, clothes, etc. That being said, it also seems like its a hometown race probably because of the 9+1 but almost everyone I knew of knew of someone else doing the race too. The race schedule is clear for a few months until the NYC Half (which I really want to PR!). 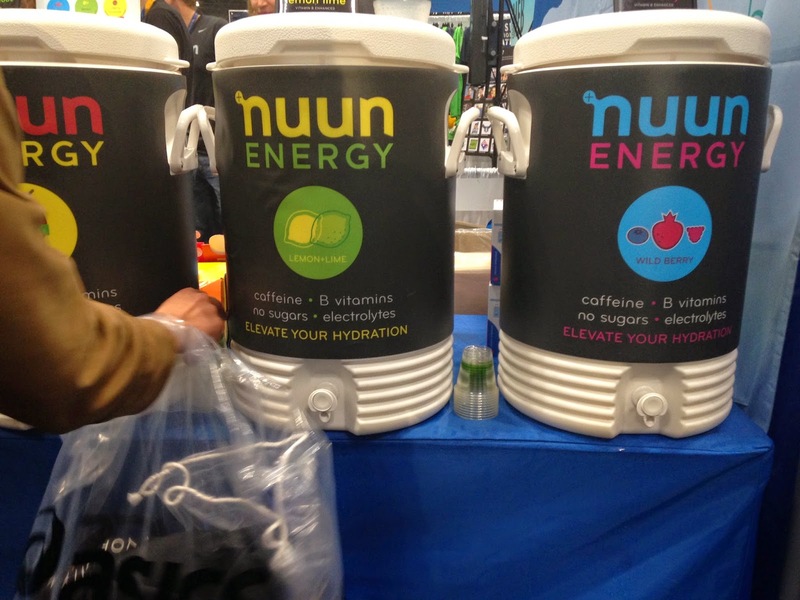 Did you run the NYC Marathon or spectate? What was your favorite part? Least favorite? What are you doing in the “off-season”? Congrats on a great race! Those conditions sound tough! Congrats!!! 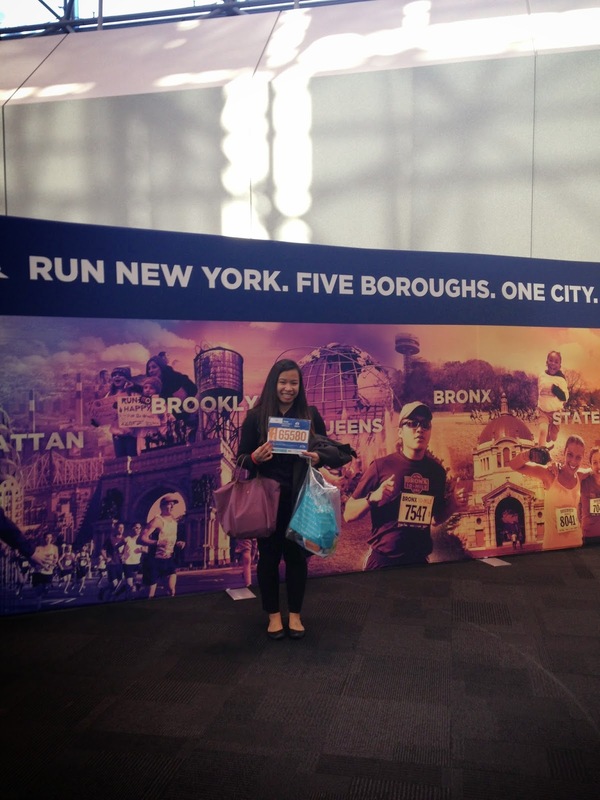 I loved the NYCM. I wish I lived close enough to do the 9+1! Will just leave it up to the lottery gods. Congrats to you too! You should totally do it again next year! These ingenious models are heralded because the future era regarding workout at home equipment. The person stands TRX Australia as well as is located the specific menu as well as shake make tissue inside of the human body internet marketing induced, just as they usually are throughout regular work out. The actual thought will be the dishes can easily improve stages of cell excitement to amounts you will only commonly achieve through really intensive workouts. This specific ensures that your 60 minute demanding routine can be replaced by a simple Trx Workouts 13 moment workout. Actually, a ten moment workout while using dish would need some sort of 1 hour work out in the event stood for strong terrain. Moaning dishes not merely competent at creating Trx Workouts the human body actually. For those who can be frightened in relation to purchasing a vibrations eating plan, probably resulting from your age or even physical capacity, Trx Workouts can be worth noting until this device works to get.